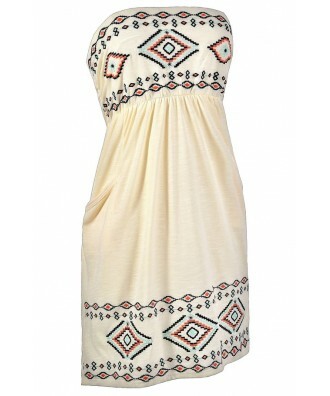 This adorable casual summer dress has a southwestern inspired embroidered design on it. The Southwestern Summer Strapless Embroidered Pocket Dress is made of a comfy cotton blend fabric in a vanilla cream color and is fully lined. This dress has a strapless neckline and an elasticized empire waist. An orange, mint, and black embroidered design decorates the bust and hemline of the skirt. A pocket on each side of this dress adds a casual vibe, completing this look. The Southwestern Summer Strapless Embroidered Pocket Dress is a cute dress to toss on during warm summer months when you want to look put-together and cute with minimal effort. Pair this dress with wedges or beaded flat sandals and an oversized bag. Details: Fully lined. 70% cotton, 30% rayon. Lining: 100% polyester. Hand wash cold water separately. Color will bleed. No bleach. Hang to dry. Small measurements: Length from top of bust to hemline: 27". Bust: 31". 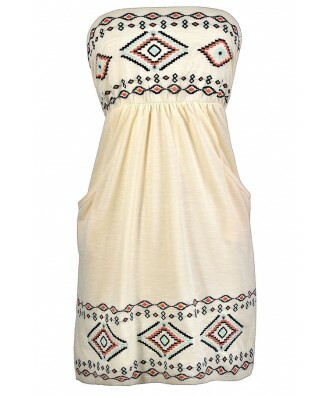 You have added Southwestern Summer Strapless Embroidered Pocket Dress into Wishlist. 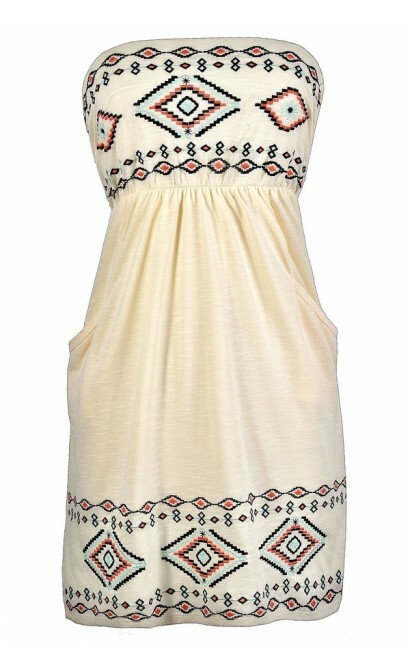 You have added Southwestern Summer Strapless Embroidered Pocket Dress for Stock Notification. 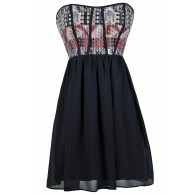 You have set Southwestern Summer Strapless Embroidered Pocket Dress as a loved product. You have removed Southwestern Summer Strapless Embroidered Pocket Dress as a loved product.